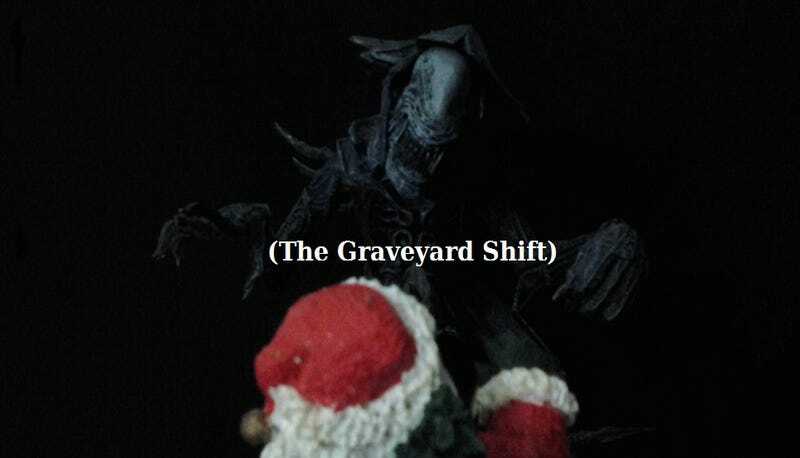 The Graveyard Shift *No Ragrets Edition - Naughty or Nice? Hello fellow TAYnsigns, and welcome to the Graveyard Shift! Hosted by Kotaku's reader-run blog, TAY. A place to talk about life, video games, or anything. So feel free jump in the topic, or not ¯\_(ツ)_/¯. Be sure to check out created articles on TAY or the random blips of TAYCLASSIC. This is for you! The Late Night / Early Bird / Office Drones/ Sickbed / All-Nighter / Future Warriors! Tonight's Shift... Naughty or Nice? Hey everyone, hope you all are making the most of this cold season or warm holiday..depends where you are really ^^; But most importantly done with gift finding for that special someone. So the year is finally coming to a close, and in a couple of days we get to say good bye to 2013. The passage of time may be depressing, but why get all fussed about something you can't control. You are still you. So to make this short, has this been a nice year or a naughty one? Or have you been naughty, and expect a diamond to be shoved down your throat? Well whatever it maybe, feel free to ignore the topic, and celebrate festivus. So feel free to share your plans you may be scheming for the holidays or those glorious gaming achievement that made you lol with joy. Either way, happy holidays, Happy New Years, and TALKS AMONGST YOURSELVES! The Graveyard shift is not responsible for your late night procrastination, worrying about your gifts being good enough, jingle balls, lack of cookies, and being naughty!